Why Is Drone Training Important? With drones becoming more and more popular, it is critical that users know and follow the FAA rules and regulations regarding drones. Flying a drone can be very reckless without the proper training. If a new drone pilot is proactive about learning everything needed before taking off, the Internet is a good place to start. However, many drone pilots will not want to take this approach. For drone pilots who do not want to spend hours on the Internet learning everything they need to know before takeoff, drone training is the logical next step. 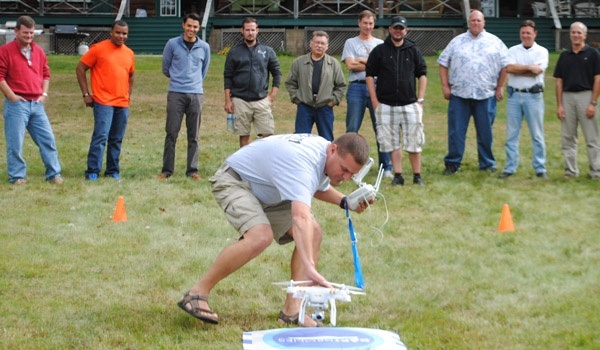 Drone Basic Training certifies pilots on the FAA rules, regulations and safety in two engaging hours of classroom time. Topics include where and when you can you fly legally, equipment considerations and why drones get a bad reputation. Part I of Phantom 3 and Inspire Training teaches new Phantom and Inspire pilots everything they need to know to be confident in launching, flying and landing safely. Part II covers the hundreds of settings and features of the DJI Go App that will be used during flight. Additionally, Part I and Part II each include two hours of classroom coverage and hands-on flying time with an expert flight captain. Owning and piloting a drone is much more complex and comes with more responsibility than people may think. Be certain that you are prepared, know your surroundings, and can fly your drone in a safe and responsible way.